Eric is the founder & CEO of his start up membership community for entrepreneurs that was started in 2009. He graduated from the George Washington University Law School in 1996, after practicing as an attorney at Kaye Scholar for a year. Over a 10+ year period, Eric led a dynamic and successful technology-based business model in a quickly-changing market that served its customers, employees, and shareholders well. 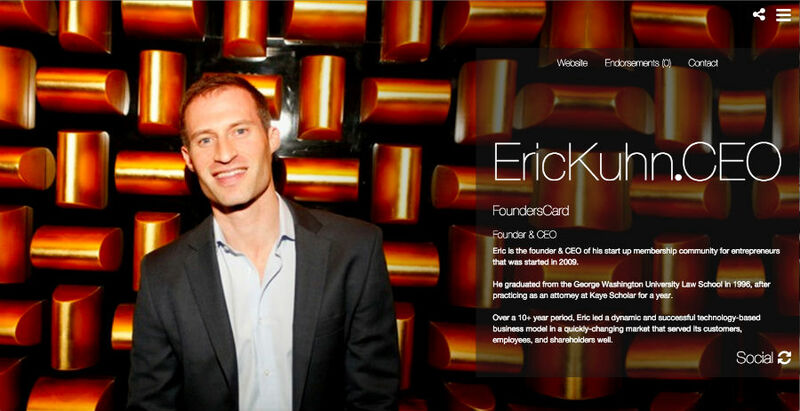 Download our White Paper and learn more about Eric Kuhn and thousands more CEOs.